World renowned a cappella ensemble, The King’s Singers, are coming to Sydney to perform with St Mary’s Cathedral Choir for one night only. Known for their “voices of spun gold” and their mastery of vocal harmony, the British group are celebrating their 50 year anniversary, coinciding with 200th anniversary of the founding of St Mary’s Cathedral Choir. This rare performance, bringing together a combined 250 years of musical history, will take place on Saturday 3 March in the beautiful gothic surrounds of St Mary’s Cathedral. With The King’s Singer’s performances characterised by “life-affirming energy” and “heart-gripping harmonies” the concert promises to be a rare delight. 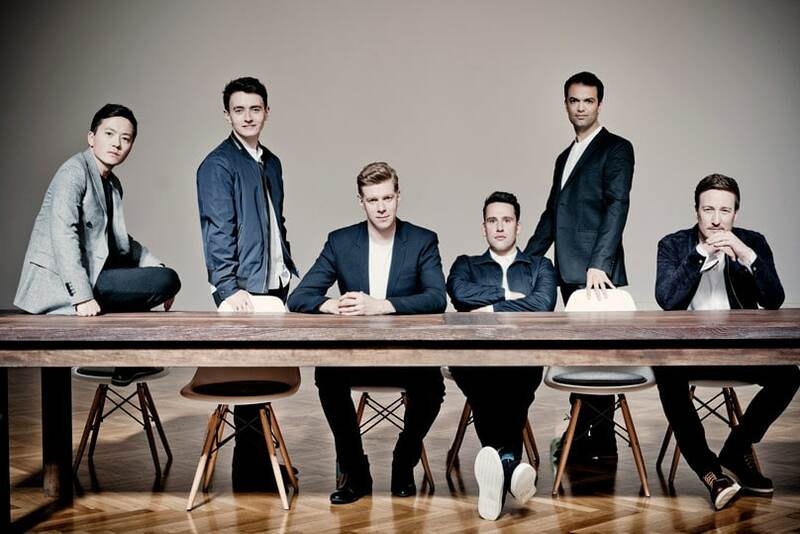 The current members of The King’s Singers are Patrick Dunachie and Timothy Wayne-Wright as countertenors, Julian Gregory as tenor, Christopher Bruerton and Christopher Gabbitas as baritones and Jonathan Howard as bass. The group have received two Grammy Awards, an Emmy Award and the Midem International Classical Award. They have also been inducted in Gramophone magazines Hall of Fame. The original six King’s Singers began performing in 1968 and rapidly received acclaim from around the world. With over 150 recordings, The King’s Singers are known for their diverse repertoire including both sacred and secular works. In celebration of their 50th anniversary the group have released a triple-album of new recordings featuring 60 tracks spanning over 500 years.